Beans & greens is a Southern staple — and one of those classic combinations that conjures up fond memories of home-cooked family meals around the dinner table. 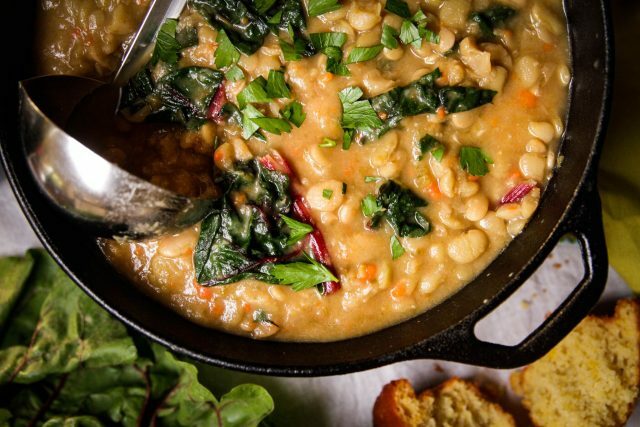 Cooked down, seasoned and flavored in countless different ways, any beans & greens mixture is a match made in heaven — from Southern Blackeye Peas snuggled up next to Collard Greens, to Shiitake Mushrooms, Butter Beans & Southern Greens over cheese grits, to Pork, Collard & Blackeye Pea Gumbo. 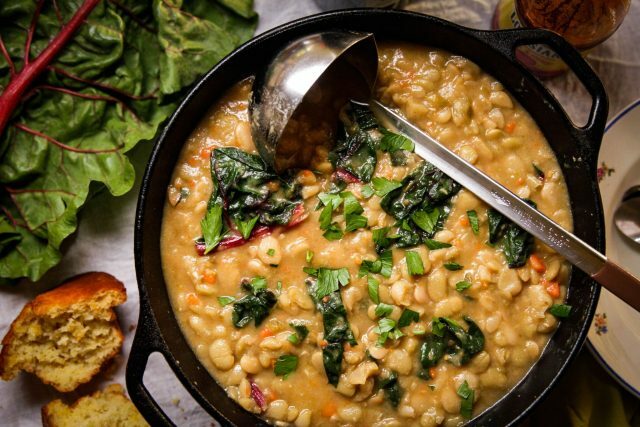 Here, we bring you another delicious way to cook the dynamic duo — with a Beans & Greens Soup “master” recipe that features basic guidelines and quantities but is meant to be personalized to your tastes. 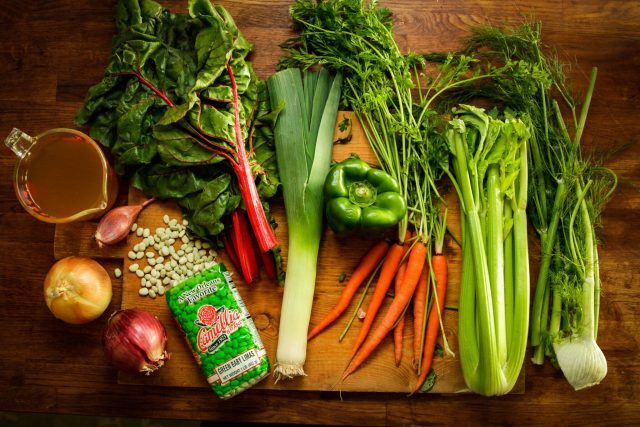 In our Beans & Greens soup, we used Green Baby Limas, leeks, shallots, white onion, red onion, celery, carrot, bell pepper, fennel, vegetable broth and Swiss chard. 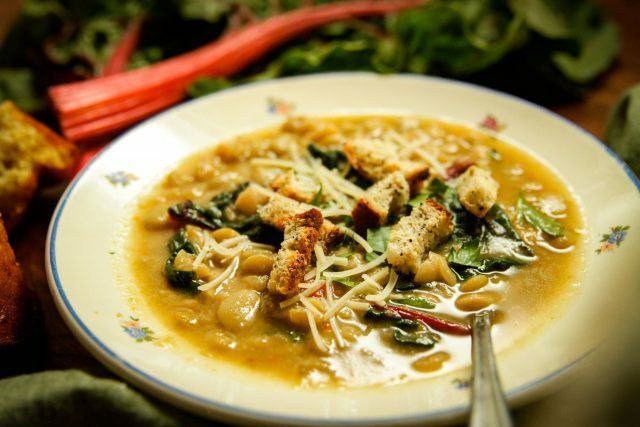 This how-to is as simple as slowly simmering your favorite combination of beans, onions, vegetables, broth and greens. 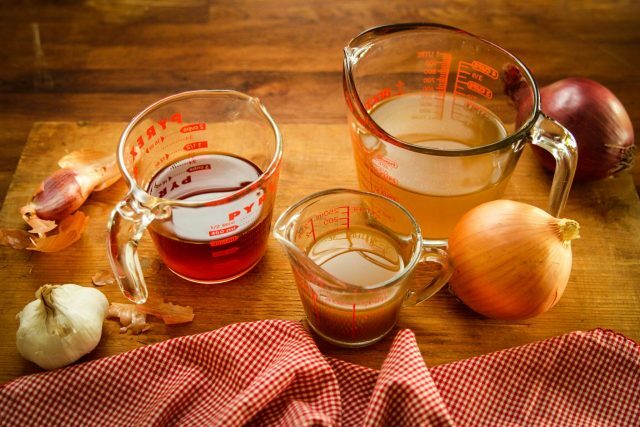 And whether you make it vegan, vegetarian or cook with chicken or beef broth, you’ll love the end result. You’ll start with a little bit of fat, add some spices throughout and end with a couple of tablespoons of vinegar for a wonderful, bright finish. 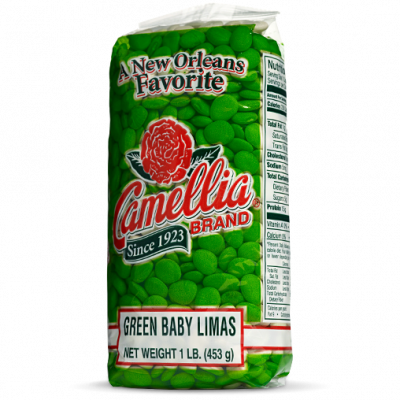 For a complex, flavorful soup that’s incredibly satisfying, we used Green Baby Limas with a variety of onions and vegetables, plus vegetable broth. A real winner. 2. Add aromatic vegetables. 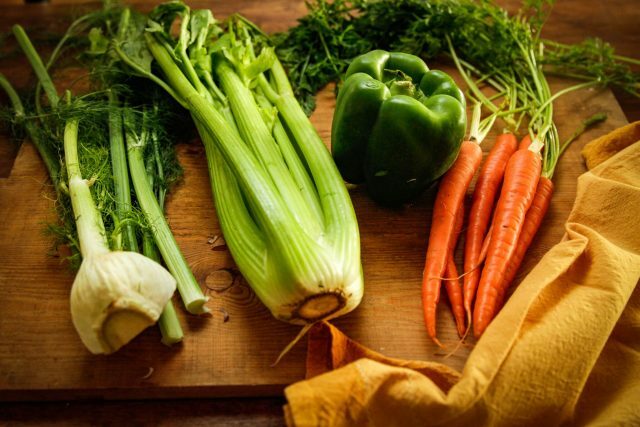 Next, add 2 cups of chopped vegetables — anything from carrots and celery to bell peppers and fennel. Your choice. Then sauté all for a few minutes, add some garlic, and cook another minute more. The aroma is amazing. 3. Add broth or stock. Then it’s time for 8 cups of broth or stock. It might be vegetable, chicken, beef, mushroom or ham. Whichever you prefer will work; each will add a unique richness to your soup. 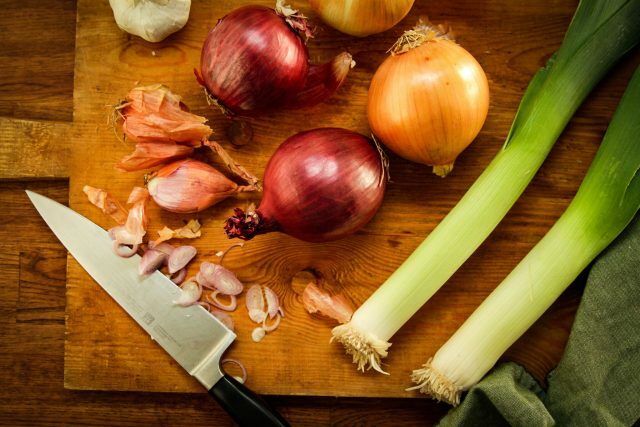 (Got some homemade stock in the freezer? This is a great time to use it.) The master recipe is vegetarian, so broth or stock is where you can add a hint of meatiness, if desired. Use whichever dried beans you have in your pantry. Got a 2 lb. bag? Double the recipe for an easy freezer meal. 4. Add rinsed and sorted beans. 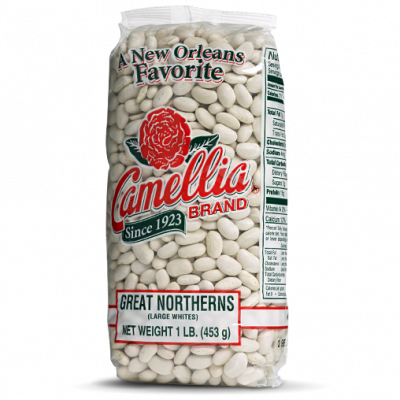 A 1-pound bag of rinsed and sorted Camellia Brand Dried Beans goes in the pot next (or if you have a 2-pound bag on hand, double the recipe for an easy freezer meal). 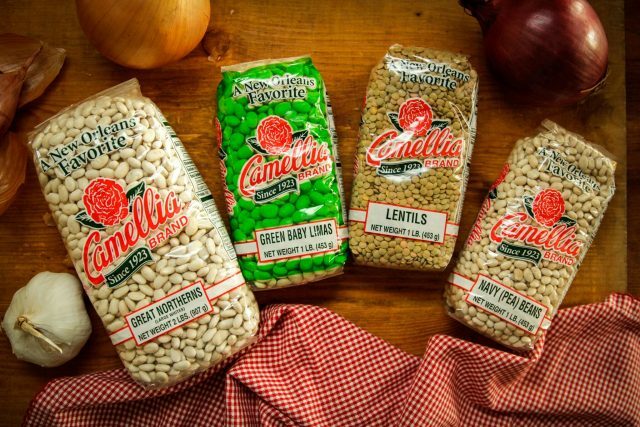 You might like Great Northerns, Navy Beans, Lentils or Green Baby Limas. 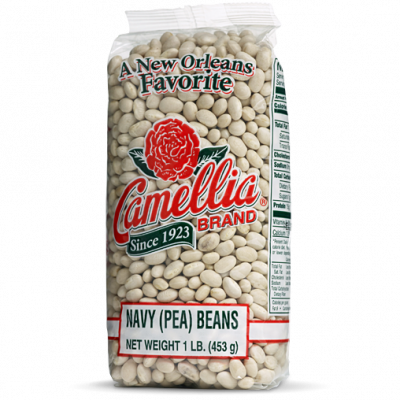 Any of our bean varieties will add their own special flavor and texture; to make your choice, think about how light or how hearty you’d like the soup to be. And keep in mind the cooking time required per the bean variety you choose. For basic cooking times for all of our dried beans, peas and lentils, refer to this bean cooking chart. Soaking, as always, is optional but not necessary. 5. Simmer till beans are tender. The recipe then calls for a sprinkling of red pepper flakes and bringing the whole mixture to a boil. 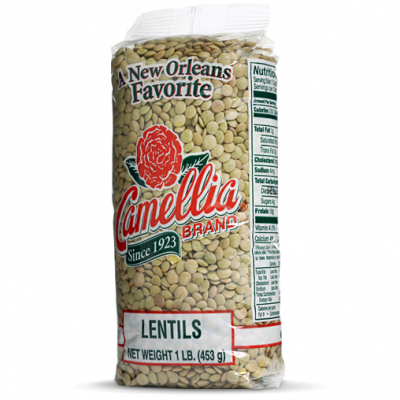 Reduce the heat, cover and simmer till beans are tender — mashing as you go if you prefer a creamier soup. 6. Add greens and seasonings. Once the beans are tender, stir in 3 cups of chopped greens — from kale, collard, spinach or arugula to Swiss chard, cabbage or watercress — or any combination of these, plus the vinegar, which might be red wine vinegar, cider, champagne, mirin or white balsamic. Season with salt and pepper and cook until greens are wilted. 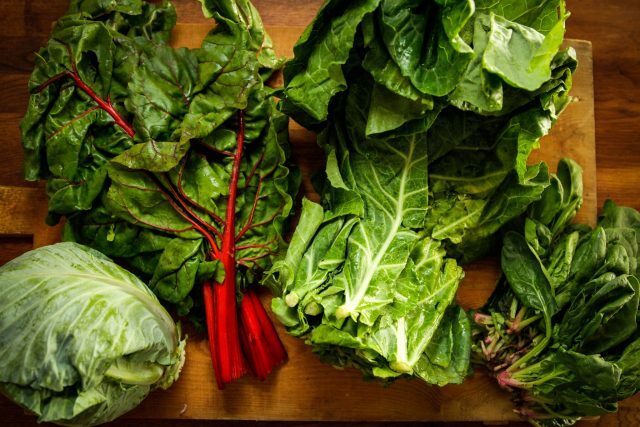 The more delicate greens will have a lighter texture and wilt quickly, in just a minute or two, but heartier greens (such as collards or chard) may take up to 10-20 minutes. Got some leftover greens? Throw them in and cook till just warmed through. 7. Enjoy! When done, you’ll be rewarded with a hearty, comforting pot of soup that’s satisfying in every possible way. Warm, filling and full of protein, fiber and nutrients — who could ask for a more perfectly pleasing dish? Top a bowl with some fresh Parmesan or croutons, make sure the cornbread’s warm, and sit down to enjoy.